Faith in Recovery is a Non- denominational Christ centered, faith-based recovery program for those who are suffering from drug and alcohol addiction or mental health disorders. This addiction recovery program is designed to allow patients to establish or restore their faith and relationship with God while also addressing their addiction. The program integrates clinical therapies and faith based ideas into customized Christian programming. Faith in Recovery is an all-inclusive, separate program, and not merely just a “track” as most other treatment facilities. Similar types of programs (faith-based treatment tracks) consists only of a bible study and a weekly off-site church service. Faith in Recovery is a completely comprehensive Christian-based program. We approach treatment from a spiritual and clinical perspective and all patients are assigned a therapist for their clinical needs. We also have a full-time Program Director and Chaplain for all Biblical needs. Our faith-based treatment program in Pompano Beach welcomes all walks of life and all of our patients come from various backgrounds including Atheists, Agnostics, Judaism, and those who grew up Christian and fell away, and those coming out of the occult. Through our Christian programming, we successfully treat addiction as well as strengthen our patient’s relationships with God and establish a spiritual foundation for recovery. If you are seeking that spiritual connection during treatment then Faith in Recovery is the right treatment approach for you. We stand by the guidelines that all are welcome no matter your religious affiliation or background. Our faith-based treatment program believes in utilizing individualized treatment methods for each of our patients and we properly asses them before treatment begins. We approach addiction and mental health issues from a spiritual perspective and are a fully integrated faith centered program in conjunction with evidence based clinical practice guidelines. 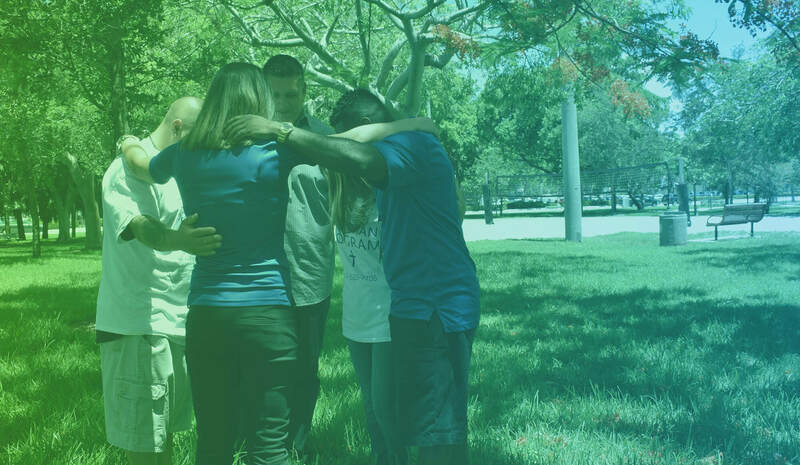 The Faith in Recovery Program at Banyan Treatment Center allows all individuals to completely change their lives for the better by growing spiritually through recovery. We believe that it is important to combine the spiritual component with other clinical programming including educational, clinical groups, relapse prevention, and individual clinical sessions. Some of the programming we offer through Faith in Recovery include partial hospitalization, intensive outpatient program, and introductory groups for medically monitored detox and residential drug and alcohol treatment. At Banyan, we pride ourselves in providing truly customized care for all patients and our Faith in Recovery Program allows us to treat patients with long-term success and growth in mind. We believe that combining spiritual and faith-based therapy with traditional treatment programs allow our patients to fully heal and recover from addiction. If you are suffering from substance abuse and you feel like there is nowhere to turn, contact our faith-based treatment center today. We can help you begin your spiritual journey and we want you to know that it’s possible to take control over your addiction. Addiction can be a dark and lonely place and it’s never too late to strengthen your relationship with God while getting the treatment you need. Take that leap of faith today and contact our drug and alcohol treatment center in Pompano Beach to learn more about the Faith in Recovery Program.